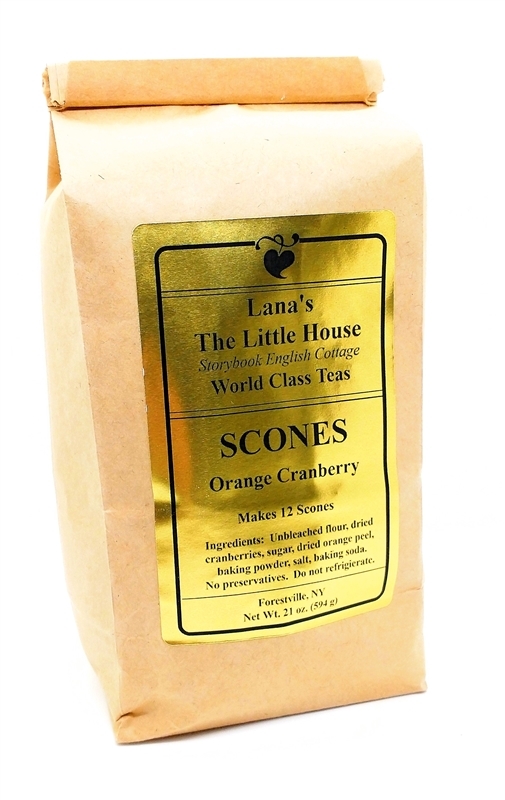 Lana's Scones continue to receive rave reviews since first served November 23, 2003. Lana's Scones are easy to prepare - just add butter and buttermilk. The finest ingredients are used. 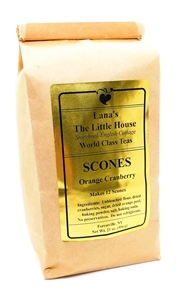 Our scone mix makes 12 large scones. Enjoy! Net Wt. 21 oz. (594 g). I cannot review the products I purchased online because they are gifts. A friend recently visited your lovely place and absolutely raves about her experience there. I decided to surprise her for her birthday next month by buying items for sale at your shop. I know she will be thrilled to relive the taste of her visit with you. My experience as a shopper was excellent. It seemed like I got the items in the mail before I hit the submit order button!! Your service encourages me to shop online with you again. Loved these scones at the cottage and this kit now allows me to have them at home. It's quick and easy and you'll love the results! The texture and flavor are just perfect. I was pleasantly surprised that the mix and directions are foolproof enough that these gems could come out of my own oven just as delicious as they are at Lana's The Little House.